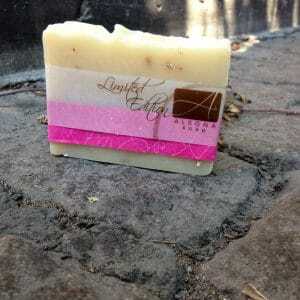 Alegna Soap® Limited Edition Lavender Oatmeal soap, on a cobblestone street in NYC. I didn’t know there were cobblestone streets in the city. Want to guess where I took the picture?